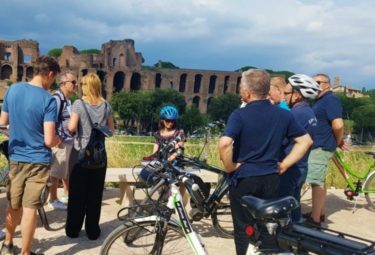 LivItaly’s Small Group Rome Bike Tour is perfect for those wanting a fun and refreshing day out of the city. 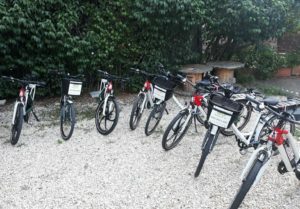 Meet your local LivItaly guide at a central location in Rome and get comfortable on your e-bikes. Ride along the ancient Roman Baths of Caracalla, through archway doors onto Via Appia Antica, one of the oldest and most important roads of ancient Rome. Journey back in time as you ride along this ancient road, stopping along the way at important churches, mausoleums, and other fascinating ancient sites. Have your LivItaly guide bring this ancient Roman highway to life as you learn about its military and economic importance. Take in the unique atmosphere of this special place out in the Roman countryside and enjoy a fun day out of the city in nature amongst ancient historical sites! 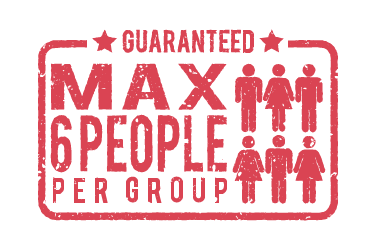 WHY TAKE A SMALL GROUP TOUR? LivItaly small group tours have no more than six people per tour which is a unique feature. 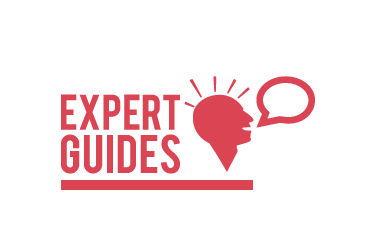 In a very small group like this, you get to enjoy a more intimate experience while still being in a group setting, giving you the chance to engage more with your LivItaly guide and immerse yourself in your surroundings as much as possible. 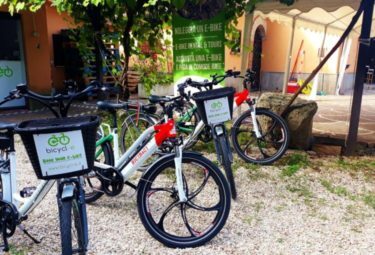 Your fun day out starts at a central location in Rome where you will meet your local LivItaly guide and get comfortable on your e-bikes. Helmets on and feet on the pedals, it is time to start the adventure out into the countryside! Ride along the Terme di Caracalle (Baths of Caracalla), which were once the city’s second largest Roman public baths. Glide along on your nifty e-bike through ancient archway doors leading onto Via Appia Antica (The Appian Way). This is one of the oldest and certainly the most important roads in Rome, built in 312 BC and stretching all the way from Rome to South Italy. Learn about why it was crucial to the Roman Empire, its strategic positioning and the many different ways it was used throughout history, such as for the military and serving as a commercial trade route. As Romans could not be buried within the city walls, Via Appia Antica also became an important burial road. You will quickly notice the many tombs and mausoleums lining its path, and along the ride you will see the most famous of all, the Cecilia Metella Mausoleum. Learn the parable behind the Church of Quo Vadis, where St Peter is said to have met Jesus, giving him the strength to turn back to Rome instead of fleeing from persecution. 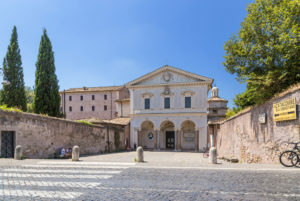 Enjoy being outdoors discovering another layer of Rome’s ancient past with your expert guide sharing interesting histories and stories about the many surrounding ancient sites lining its path. 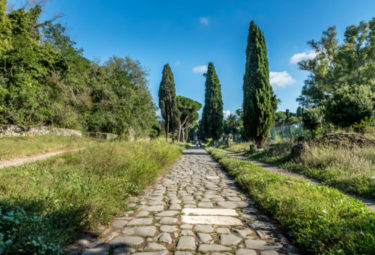 Lay your hands down on the original stones of Via Appia Antica, firmly placed thousands of years ago, as you imagine the many who traveled along it, including Roman emperors! Ride past San Callisto Private Park and San Sebastian Church, learning about all the fascinating network of catacombs that lie beneath the ground. 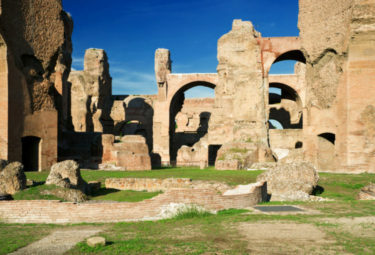 Discover Villa di Massenzio and Circus of Maxentius, the second largest arena in Rome after Circus Maximus near the Colosseum. This big arena is wonderful to visit, as it is the most well-preserved stadium in Rome with its main structure and brickwork still intact. 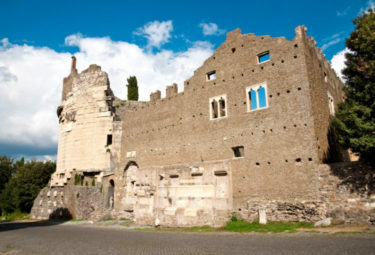 As you journey along Via Appia Antica, marveling at the many sites along the way, you will soon discover why this important ancient Roman highway is often referred to as the “Queen of the Long Roads,” stretching about 40 miles with much to see, and on your e-bike you will effortlessly enjoy discovering about 2-4 miles of it! Along the way, you will stop at one of the most famous and well-preserved of all mausoleums on Via Appia Antica. Mausoleo di Cecilia Metella (The Tomb of Caecilia Metella) was built during the 1st century, under the emperor Augustus, built in honor of Cecilia Metella, the daughter of an important Roman consul. The grand mausoleum is hard to miss, perched up on top of a hill, with its big cylindrical drum sitting on top of a square podium, and the Caetani Castle attached at the back. This ancient monument stands out amongst others with a total height of 21.7 meters! Between 1302 and 1303, the Caetani family bought the estate and area including the Tomb of Caecilia Metella. Here they built a fortified camp next to the Tomb of Caecilia Metella, transforming the tomb into a defensive tower, used to control the traffic on the Via Appia Antica road and to collect tolls. The castle was later passed down to the Savelli family in the 14th century, and then to the Orsini family who held it until 1435. After that, it became the property of the Roman Senate, and later was abandoned in 1485. After seeing many of the ancient road’s historical sites, enjoy riding out a bit further along Via Appia Antica. Cruising along on your e-bike, surrounded by gorgeous fields and ancient Roman ruins, will give you a real sense of how long and expansive this ancient road is, as you imagine it extending all the way down south. After your bike tour, we encourage you to go back along Via Appia Antica and visit some of the sites in more detail, like the underground burial chambers of the San Callisto catacombs. 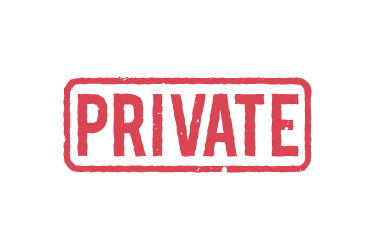 Enjoy a fun day out of the city in the countryside, discovering some of Rome’s ancient archeological landmarks! 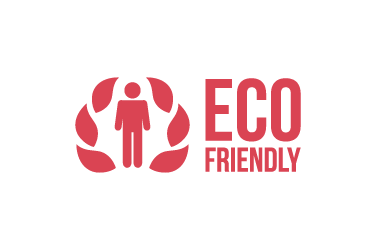 Start your small group tour by getting comfortable on your E-Bike! Once you're comfortable on your bikes, our guide will take you through Rome towards Terme di Caracalla. Take a break at the ruins of Circus Maximus to hear about the chariot-racing stadium! 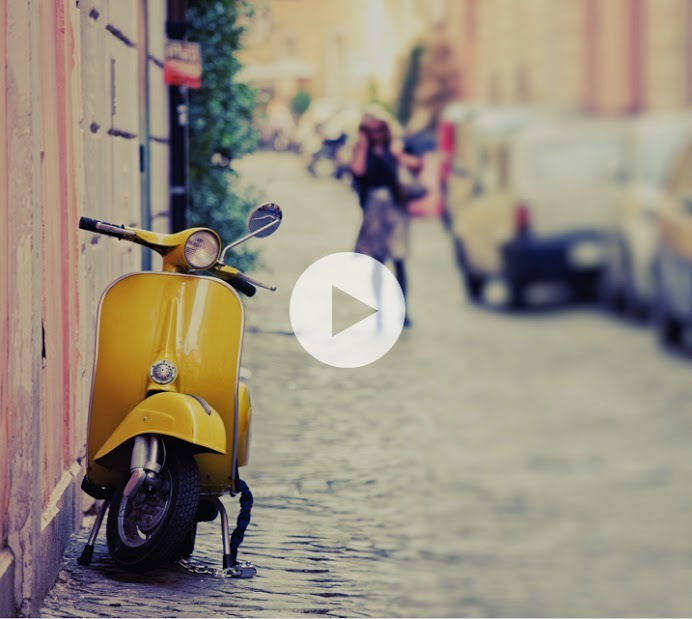 Continue your ride through Rome's streets towards Appia Antica's ancient cobble stone roads. 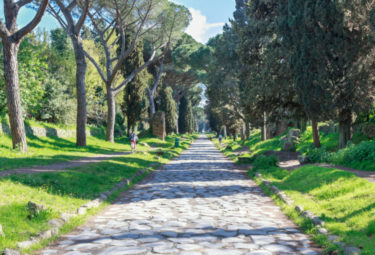 Be ready to be amazed by how long and well-preserved Appia Antica's ancient road is. Your guide will stop outside San Sebastian Church and learn why this is one of the Pilgrim churches. Keep biking towards the The Tomb of Cecilia Metella, the most famous tomb in Appia Antica. Why stop at one? 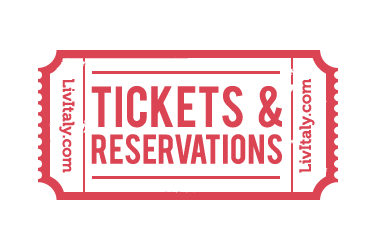 Book another tour & get 10% off on all your tours. 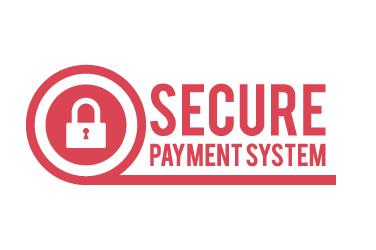 Please, try again refreshing your page first or contact us.